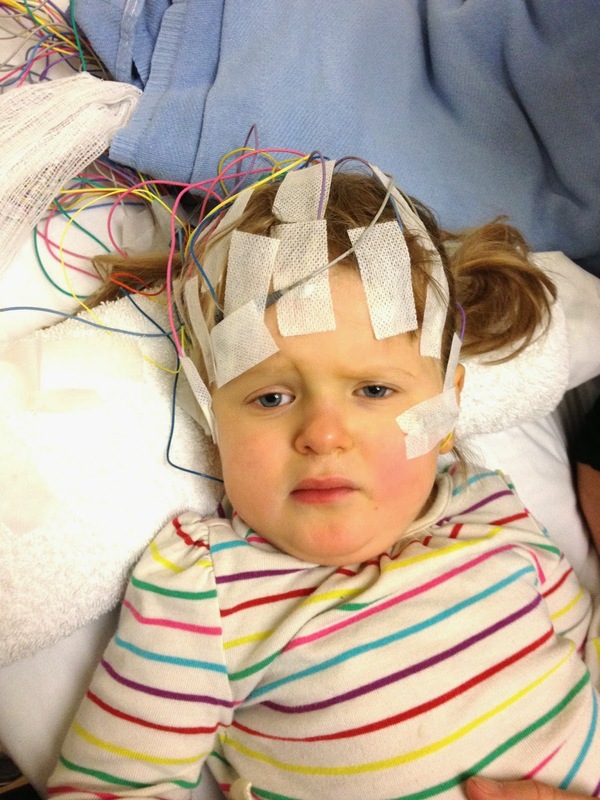 She had an EEG to measure seizure activity. 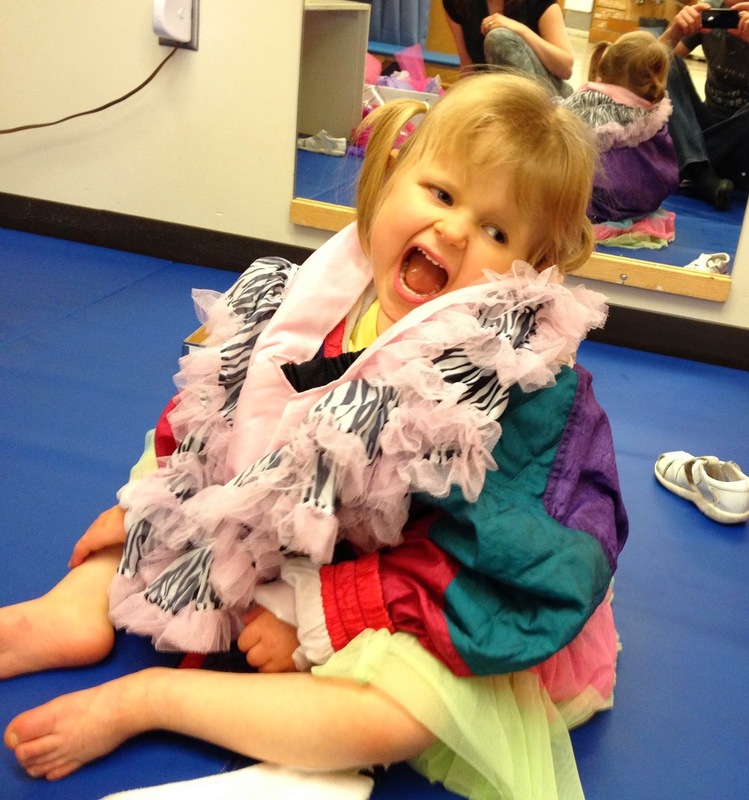 Her seizures were confirmed, and she started a new medication to help manage them. The seizures are still present, so the medication will need some tweaking, but none of it is interfering with her days. Wired up for EEG. She was sleep-deprived for several hours the night before to help increase the likelihood of catching a seizure during the test - torture for her and us! 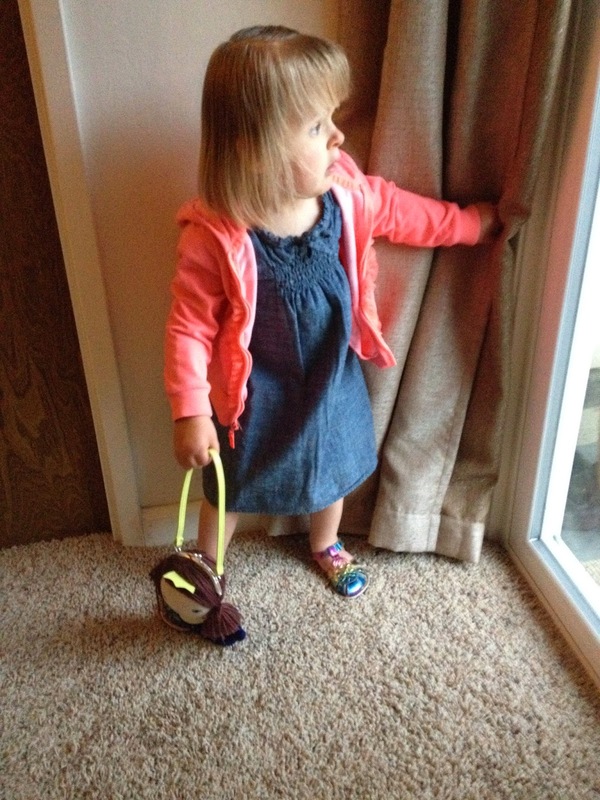 She has a new fascination with purses - carrying her own and emptying mommy's! 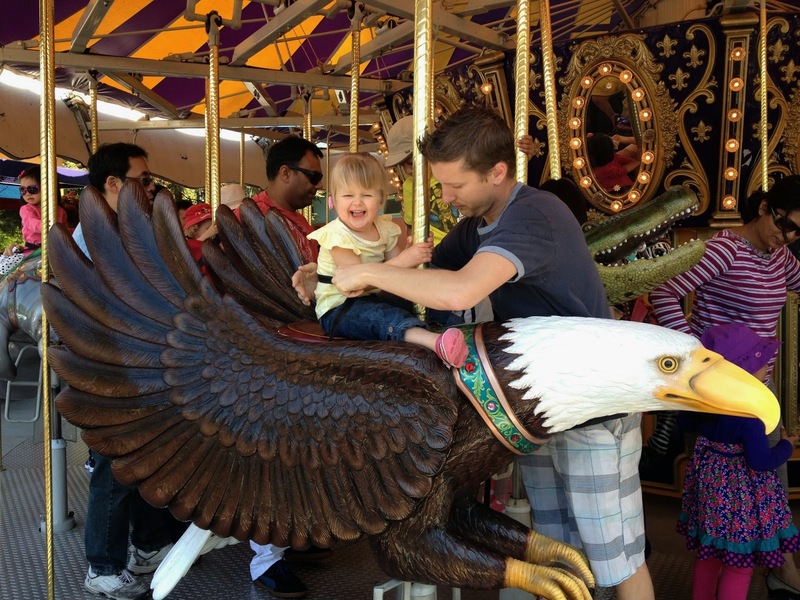 We went to Jack's Camp with other brain tumor families. It was a great weekend! 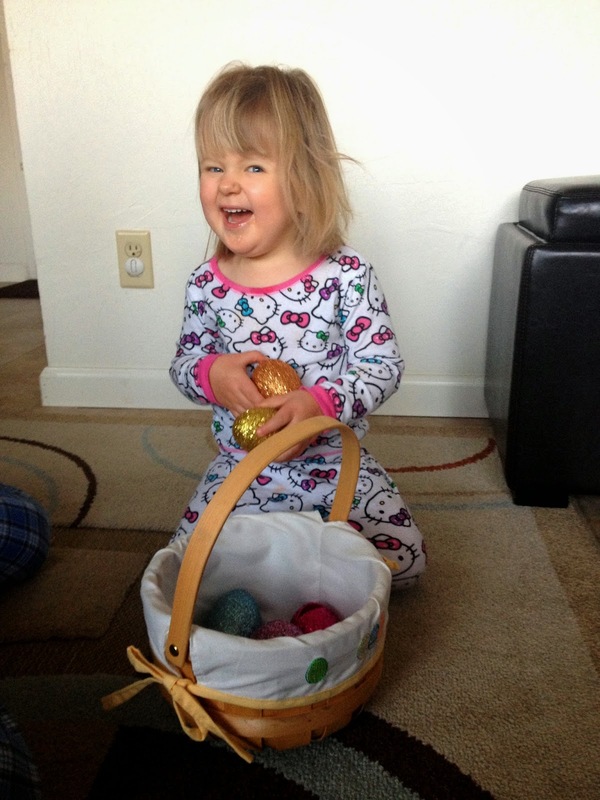 Scarlett did several Easter Egg hunts in the last week. By the time Easter actually arrived, she was starting to get it, and enjoyed opening her eggs (filled with stickers!) 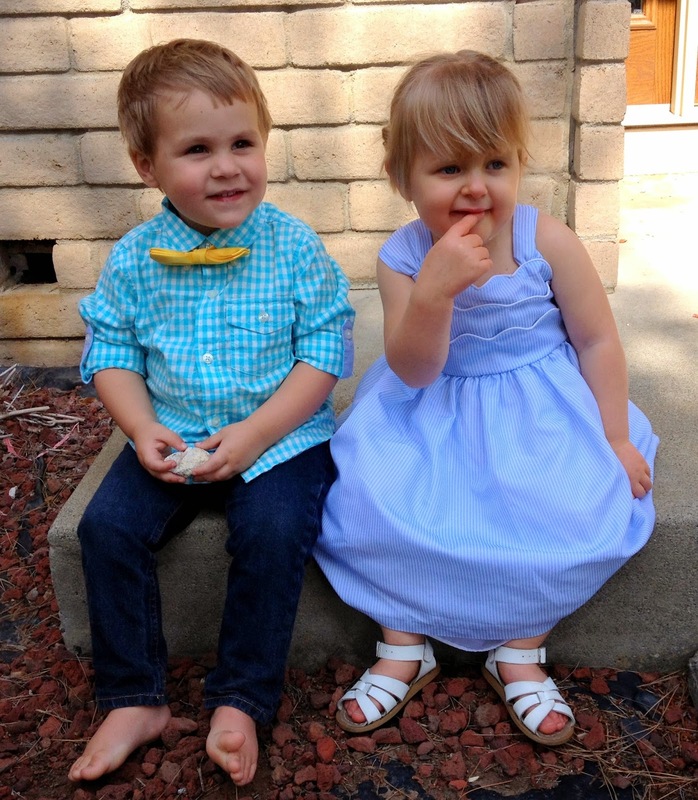 She got dressed up and played with her cousin Caleb. 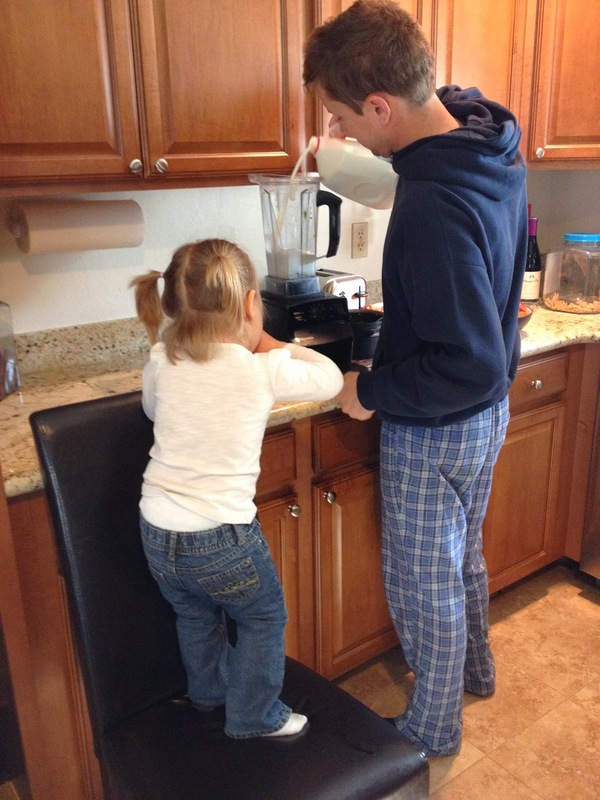 Helping daddy blend her meals for the week. She got her new and improved hearing aids a few weeks ago. They needed a few tweaks from the audiologist, but now they're running full time and she wears them with no complaints. They are really high-tech - with a digital microphone that we can use to enhance our voices for her, a connection for her iPad to directly go into her hearing aids, and self-adjusting features that maximize her access to the sounds around her. Plus, they're pink. Always a plus. The biggest new development is that Scarlett is walking independently!! 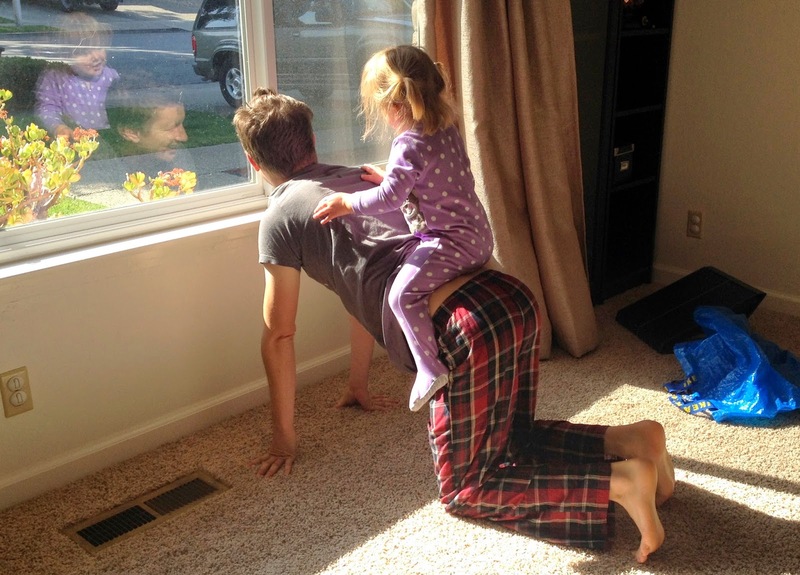 She has been taking a few steps between people for a while, but last week, she set her mind to it and just started walking around the house. Now, she's on the move everywhere she goes! At school, she follows the other kids around and does a good job dodging them as they play around her. She can stand on her own, pick things up and carry them. She tries to sign while she walks, but still needs her arms for balance. I am not sure what finally changed after a year of using the walker, but she decided she was ready. Yesterday at physical therapy, we officially returned the walker, and even got the OK to have her wear regular shoes (without braces or inserts) for a while! There I am! 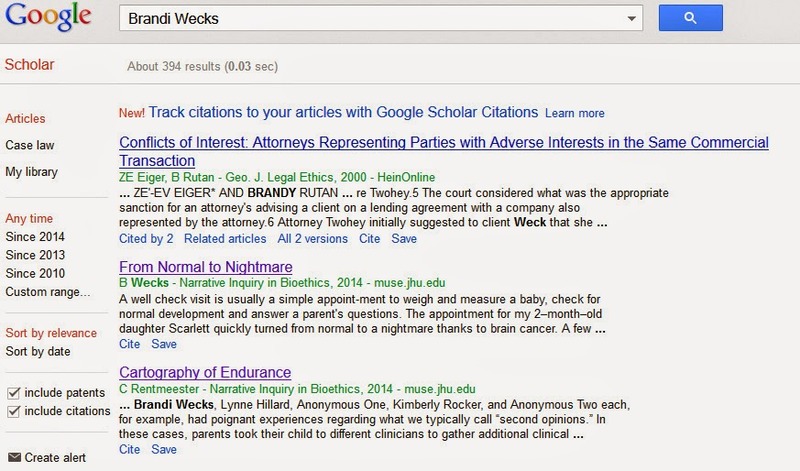 Somehow second when I search my name, but there. 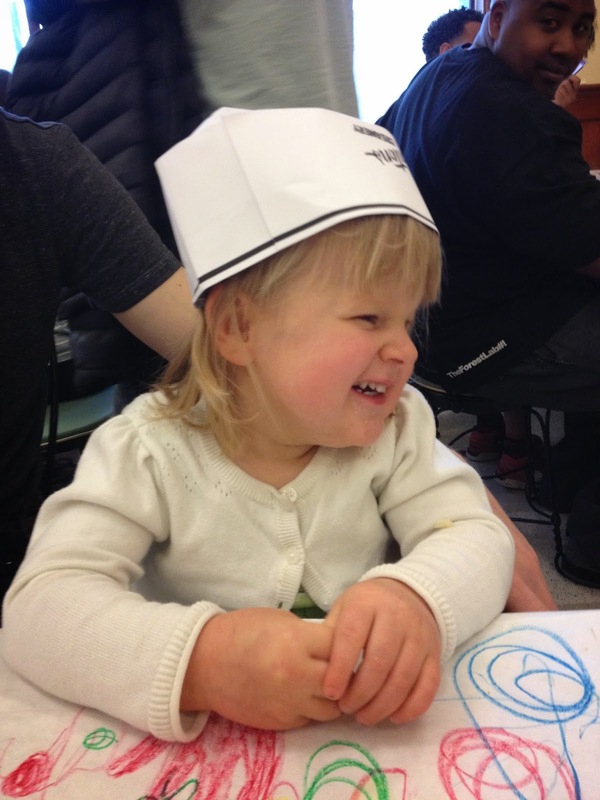 Tomorrow, we visit the neurosurgeon to discuss plans for her next surgery to continue rebuilding her skull. We're hoping that he can continue to wait into the summer, when our schedules all calm down a bit...we'll see how patient he can be. The idea of surgery now - days (weeks?) in the hospital, trying to keep this new walker from escaping her crib...ugh. Procrastinating won't help, but it is the least amount of fun I can imagine for our summer. Great post. We all love good news. Hope the seizures calm down and one day eventually disappear altogether. Hooray!!! Look at her go! Amazing progress between the two videos! You must be so thrilled. Congratulations to all three of you. Wow! She is getting so big! Always praying for you. Her head is so straight in the pictures and when she is walking!! Go Scarlett, Go! I love checking in and seeing good news! Sending lots of love to you and your amazing girl! So much good news in this post. She is adorable.